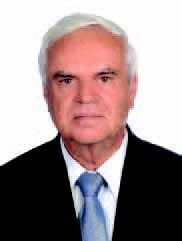 Dr. Oussama Tabbara is the Founder and Chairman & Managing Director, and Precedent Partner of UTC International (“UTCINTL”) network of practicing firms of auditors, business advisors, and consultants, which has a proud history of more than half a century. The UTCINTL network of firms operates from 17 modern offices in 14 principal cities of the Middle East Region and has more than 500 qualified and experienced professionals in employment. Ali Tabbara is a partner of UTC International (“UTCINTL”), and the Managing Director of UTCINTL Consulting Division. His areas of expertise include management consultancy, corporate strategic planning, private equity, and financial & business advisory. Tarek Tabbara is an Associate of UTC International (“UTCINTL”). His areas of expertise include business restructuring, designing deal structures and negotiating complex financing transactions, debt restructuring & settlements, corporate strategic planning, private equity, assurances services, and financial & business advisory. 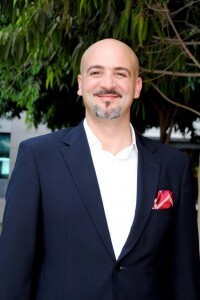 Omar Tabbara, the Managing Director of Technology Solutions of UTC International (“UTCINTL”), holds a Master’s Certificate in Project Management from George Washington University and a Baccalaureate of Science degree in Information Management Systems from University of Ottawa. He is an ORACLE Certified Professional in Internet Application Development from ORACLE, and, in addition, he is a Certified LAN/WAN Engineer. Talal Tabbara is an Associate of UTC International (“UTCINTL”). His areas of expertise include business analysis, corporate strategic planning, project implementation, private equity, internal audit, and financial & business advisory. 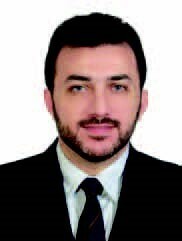 With his in-depth knowledge of issues and trends in industries such as Travel and Hospitality, Insurance, Manufacturing, Healthcare, Pharmaceuticals, and Professional Services, Talal has provided high value in corporate re-structures and market strategy implementations which involve precision and strong attention to detail. Ayman Tabbara is an Associate of UTC International (“UTCINTL”). His areas of expertise include Management Information System, Information Technology, Accounting, Taxation, Finance, and External Audit, in both public and private sectors. 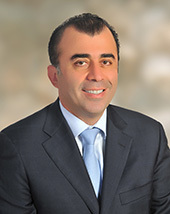 Ziad Tabbara is an Associate of UTC International (“UTCINTL”). His areas of expertise include Accounting, Taxation, Finance, and External Audit, in both public and private sectors. Lalith Edward is a financial advisor and investment analyst of UTC International (“UTCINTL”). His areas of expertise include corporate strategic planning, investment analysis and risk management, project feasibility studies, corporate finance, tax litigation support, and financial advisory. 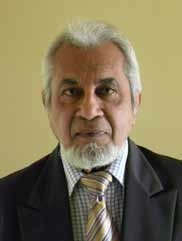 He had worked through top financial management positions in the agriculture industry [Sri Lanka, Guyana, and Chile] electric utilities [Sri Lanka and Guyana] and as a Senior Consultant in Pricewaterhouse Coopers [Sri Lanka]. Since then for more than two decades, he has been in the employment of UTCINTL. Because of his focus on excellence and by living up to a wide variety of professional demands of sophisticated clients, he has become a constant source of advice in areas such as financial due diligence, high net worth entity investment strategies, private equity and venture capital, corporate finance, the application of International Financial Reporting Standards and the International Standards on Auditing. 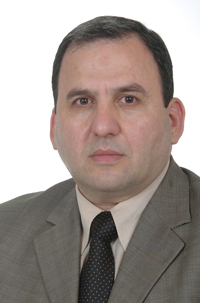 Nasser Fawaz is a Consultant - ISO Specialist of UTC International (“UTCINTL”). He has displayed highly developed analytical skills, reasoning power, and judgement and is able to readily understand clients' businesses, the industries in which they operate, and the issues they face. With his leadership qualities, outstanding interpersonal communication skills, he motivates and inspires others in developing a culture of teamwork. 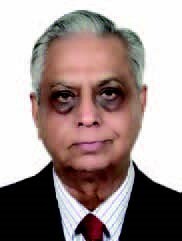 His wide array of achievements and mandates, cover Quality Management Systems and associated policies, procedures, and infrastructure, change management, business process re-engineering (BPR), project implementation, as well as operational management resulting in improving the client entities' efficiency and profitability. 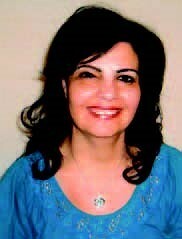 Dr. Mounah Geha is a Specialist Senior Consultant of UTC International (“UTCINTL”). Tarek Ghraizi is Business Development Manager of UTC International (“UTCINTL”). His areas of expertise include management consultancy, corporate strategic planning, private equity and business advisory. Tarek is responsible for UTCINTL's activity expansion in the Middle East including the tactical and strategic sales promotion of its service products. Tarek travels regularly to Middle East countries, and has acquired unique insights to business practices and social traditions of the respective national platforms, by understanding many aspects of the local values, priorities, and socio-political implications: these being the key success factors for business, in the constantly changing economic scenarios worldwide. He has produced results by working on a range of practice improvement initiatives. Nirvat is a Senior Audit Manager at UTC International (“UTCINTL”). Her areas of expertise include financial and management accounting, external and internal audit, taxation, and management consultancy, in both the public and private sectors. 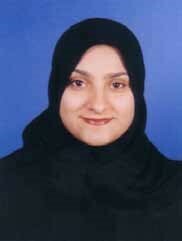 Asma Jaber is a Senior Audit Manager at UTC International (“UTCINTL”). Her areas of expertise include financial and management accounting, external and internal audit, and management consultancy, in both the public and private sectors in Lebanon. Asma’s responsibilities include managing external and internal audit assignments, as applicable, of commercial banks and companies and public sector agencies, conducting due diligence assignments, feasibility studies, assets valuations for large banks and companies, handling legal matters requiring financial expertise, preparing expert reports and expert witness statements as needed by legal counsel. Nafisa Jaffar is a partner of UTC International (“UTCINTL”). Her areas of expertise include financial and management accounting, external and internal audit, and management consultancy, in both the public and private sectors. She has developed and implemented UTCINTL's quality management strategy and plans, including professional resources, systems, and timescales, to support and contribute to UTCINTL's long term development strategy. 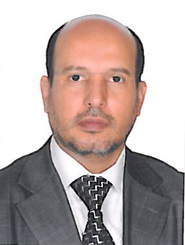 Abdullah Saad Bin Mengash is a partner of UTC International (“UTCINTL”). His areas of expertise are accounting, auditing, Zakat & tax, financial and business advisory. Abdullah has strong affiliations and networking arrangements concentrated in the Middle East Region. By setting high professional standards in his work he has helped UTCINTL to be in the forefront of the profession in the Region. Dr. N.B. Paracha is a Specialist Senior Consultant of UTC International (“UTCINTL”). He specializes in assisting client organizations to ensure that their Management Systems and associated policies, procedures, and infrastructure, result in improving their efficiency and profitability. He has carried out consultancy and training assignments in many organizations including manufacturing and service sectors, an accreditation council, and a certification body. 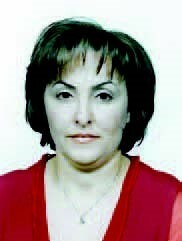 Amal Saab is a Senior Auditor of UTC International (“UTCINTL”). Amal has many years of versatile international experience in the best practices of top ranking global corporates and financial institutions. She is widely recognized for her technical expertise in international accounting standards, quality of the audit process, and professional ethics, among others. 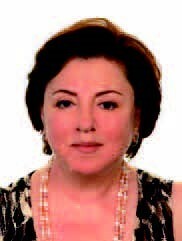 Throughout her professional career, Amal has conducted statutory compliance audits and quality audit services of banks, financial services institutions, insurance companies, contractors for mega projects, large hospitals, five-star hotels, manufacturers, retail chains, and not for profit organizations. Lutfi Al Salamat is a partner of UTC International & Lutfi Al Salamat (“UTCINTL”). His areas of expertise include Accounting, Taxation, Finance, External Audit, in both public and private sectors [including listed companies], Financial and Business advisory. Lutfi Salamat is responsible for the administration of external audit assignments of commercial companies, and public sector agencies as well as financial and business consultancy services. 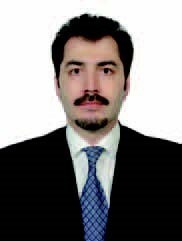 Ahmed Taqi is a partner of UTC International (“UTCINTL”). He contributes immensely to the continuous growth and development of the professional practice. He has demonstrated a flair for developing innovative service products for existing and new customers through appropriate propositions and ethical sales methods. He has maintained liaison with clients to optimise quality of service, business growth, and client satisfaction. Karim Ghandour is a Family Succession Strategist of UTC International ("UTCINTL") specializing in Estate Planning and Family Business Succession Strategies. He is a certified estate planner dedicated to assist client organizations [individuals and corporates] in their legacy and succession planning, including long-term wealth structuring, management, and planned bequests that match and achieve the intended and proposed philanthropic ideals. Ameen M. Al Shami is a Partner of UTC International (“UTCINTL”). His areas of expertise include financial and management accounting, taxation, finance, external and internal audit in public and private sectors [including listed companies], and financial & business advisory. diligence assignments, feasibility studies, assets valuations for large banks and companies, handling taxation and corporate legal matters requiring financial expertise, and, as needed, preparing expert reports.